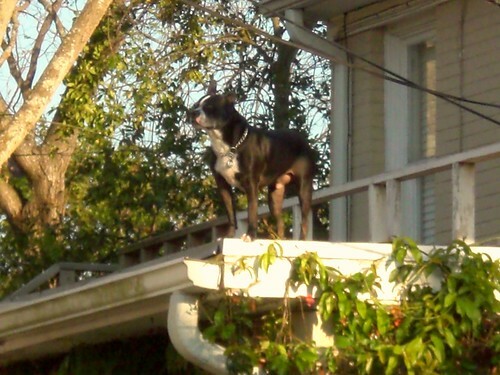 Only a Boston Terrier would end up on the roof, vigorously defending his territory while simultaneously frightened to death! ... and yes, he was barking at every passerby. I wonder how he got up there? If you can't read the sign... it says "Inside the Loop, Within Reach". 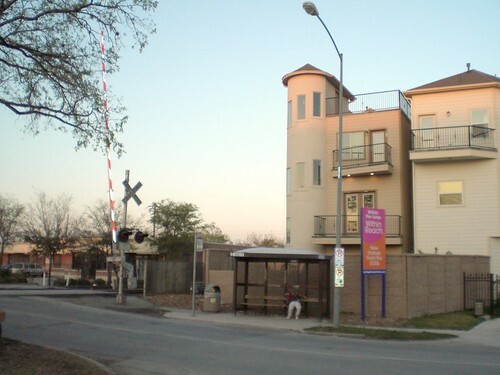 What it doesn't say is that it's within reach of the TRAIN 5-feet from your bedroom window!!! Oh, the passed out hobo at the bus stop adds a nice touch too. This can be yours for a mere $320k! But hurry, it's only been on the market for a year!